Wrapping up the pitching was the low-minors pitching System Restart. Players in the lower levels are often too far off to rank highly, but 2016 12th overall pick Jason Groome is an exception, currently sitting third in the SoxProspects.com rankings. Unfortunately, due to a lat injury, we have not gotten to see much of Groome yet this season, which has allowed his Greenville teammate, Darwinzon Hernandez, to get some attention. The 20-year-old has had a strong first four starts, going 1-1 with a 3.38 ERA, 1.07 WHIP and 25 strikeouts to 8 walks. If positional players are more your thing, then third baseman Rafael Devers, the soon-to-be top-ranked player on the SoxProspects.com rankings (Andrew Benintendi is scheduled to graduate May 1st), is one of the players you can't get enough of. Director of Scouting Ian Cundall caught five of Portland's early season games, and fittingly his first positional player Scouting Scratch takes a detailed look at Devers with tons of great info and videos. Brian MacPherson chronicles Taylor's (pictured, left) improbable journey and lightning quick rise through the system for the Providence Journal. 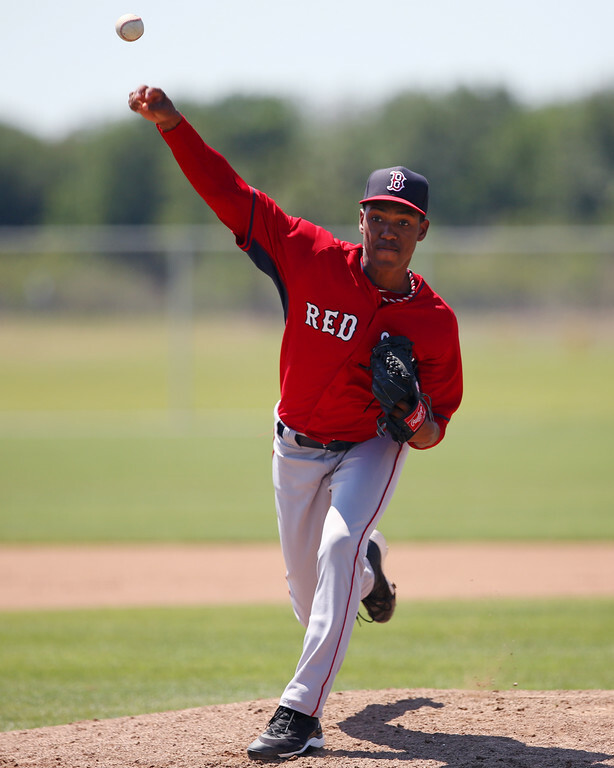 While noting that he has impressed manager John Farrel, he also notes that Taylor is an example on the Red Sox recent adjustment to how they value amateur relievers as the market for professional relievers continues to skyrocket. PawSox righty Brandon Workman had lingering soreness after pitching last year, as he worked his way back from Tommy John surgery. MacPherson writes that it is now a thing of the past and he can again pitch without hesitation. In 2017, Workman has been deployed out of the bullpen, each time for multiple innings. Over his three appearances, he is yet to allow a run in 7 innings while striking out 10 and only walking one. Third baseman Michael Chavis spent his second year in Greenville in 2016 and the results were very similar to his 2015, finishing with a .244/.321/.391 line before a brief, end-of-season promotion to Salem. In the early going, he has been the hottest hitter in the system and has put up video game numbers - slashing .333/.463/.879 with 3 doubles, 5 home runs, 6 walks and 8 strikeouts over his first 41 plate appearances. It may be pure coincidence, but Alex Speier writes for Baseball America that this spring Chavis hit the books hard, keeping a journal of all his routines, at-bats, and results in an attempt find a way to get more consistent through sabermetrics. 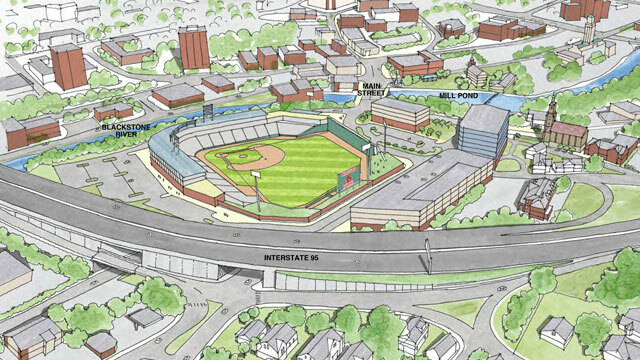 The Pawtucket Red Sox announced this week that their latest iteration of their new stadium plan includes a "park at the park" (pictured, right). The stadium complex would be designed to function year-round for the community, including allowing for concerts and winter hockey games, picnic areas, playgrounds and lots of other community-focused features. 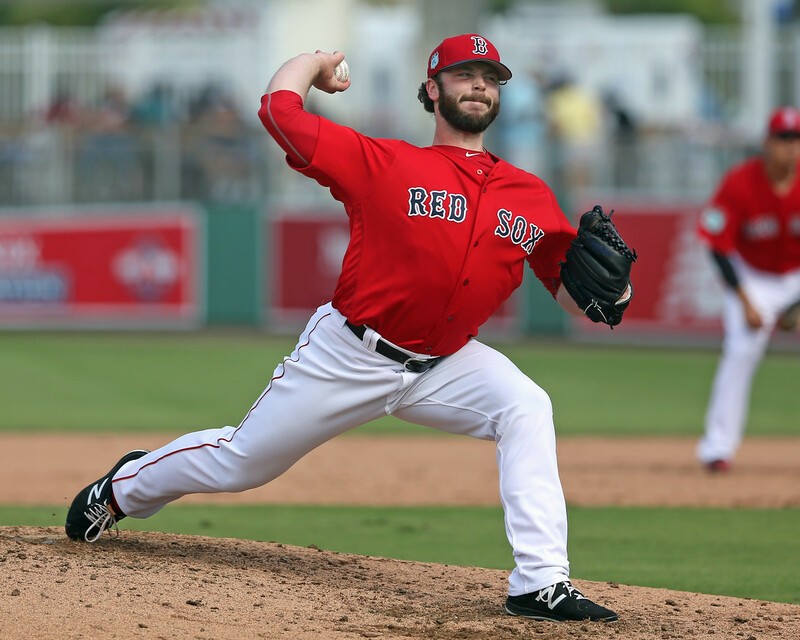 Some recent MLB transactions this week featured former Red Sox prospects. It was announced yesterday that both Raul Alcantara (A's) and Joe Gunkel (Dodgers) were designated for assignment. Some former Red Sox prospects were also suspended for violations of Minor League Baseball's drug program. Righty Jeffry Fernandez received 80-games after testing positive for Stanozolol, and Jonathan Aro received 50-games for an unspecified violation. Photo Credit: Kevin Steen and Ben Taylor by Kelly O'Connor and Pawtucket Park by the Pawtucket Red Sox.